We’ve had a whirlwind 6 weeks in Bali, selecting all of the materials for the villas we are building here and overseeing our team as they start construction. It’s been productive and busy, which always feels good. Now we’re getting ready to head back to France, where Rosie will be starting ‘l'école maternelle’ (similar to preschool) in a nearby village. It’s a local French school, so we hope it won’t be too confronting for her. We’re nervous on her behalf, while she’s just plain excited. She’s got her backpack organized, and knows which bunny she’ll be taking with her on her first day. Fingers crossed her confidence persists throughout the transition. While we’ve been in Bali we've had a team of artisans working in the chateau as well, so we’re also very eager to see their progress upon our return! 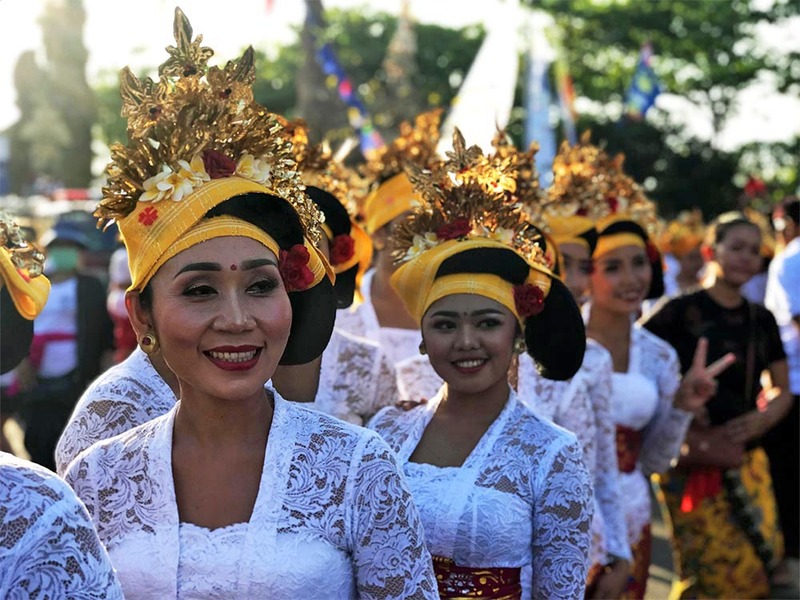 Around 2000 women performed a traditional Balinese dance in a world record breaking event over the weekend. It was a spectacular sight! Some of the beautiful dancers, up close. Their outfits and makeup are just gorgeous. 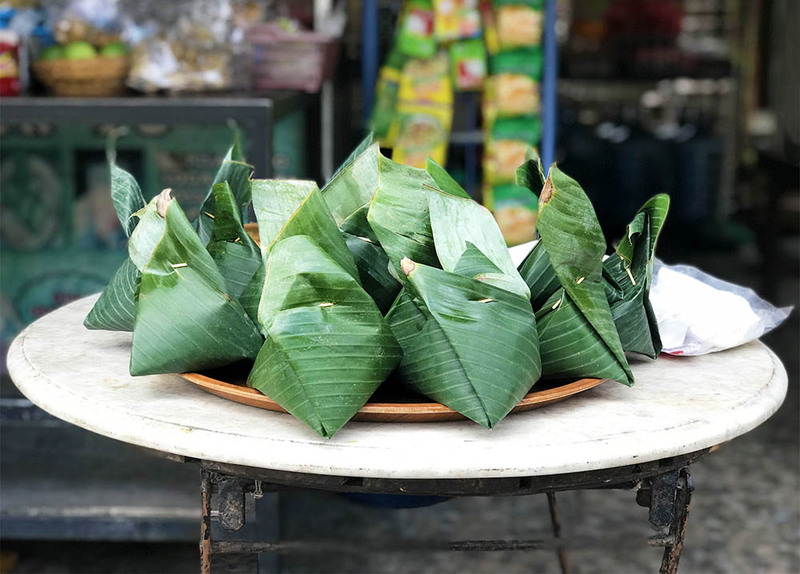 Balinese ‘fast food’ for sale at a roadside shop, wrapped in banana leaves. 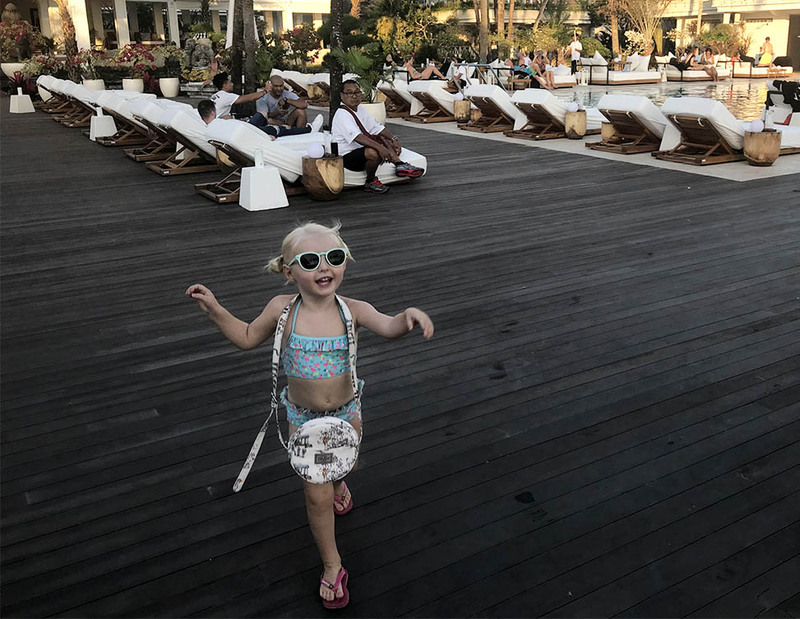 Rosie partying it up at Finns VIP, one of our favorite new places to hang out in Bali. If you’re feeling like a dose of lighthearted Hollywood glitz and glamour, dial up ‘Always at the Carlyle’, a documentary featuring a line up that includes George Clooney, Harrison Ford, Wes Anderson, Sofia Coppola, Anthony Bourdain, Roger Federer, and Lenny Kravitz. It’s funny, often heartwarming, and really makes you want to book a night at the epic NYC hotel. I’ve been searching for healthy snacks to include in Rosie’s preschool lunchbox and am looking forward to baking these carrot oatmeal cookies and these lemon zucchini muffins. We discovered the new BBC America spy drama ‘Killing Eve’, starring Sandra Oh, and whipped through the whole series in four nights. It’s both totally crazy and highly addictive. I wish it wasn’t over so fast! Has anyone else started their Halloween planning yet? This is the first year that Rosie is old enough to embrace the holiday, so we’re totally pumped, and I’ve been collecting Halloween decor and party ideas for anyone looking for inspiration.